Who needs rice? This paleo sushi is quick and easy to make and sky is the limit with what you can combine to make some tasty sushi. I serve it with some wasabi and a little coconut aminos and it makes a nutritious light meal that you can eat with your fingers. 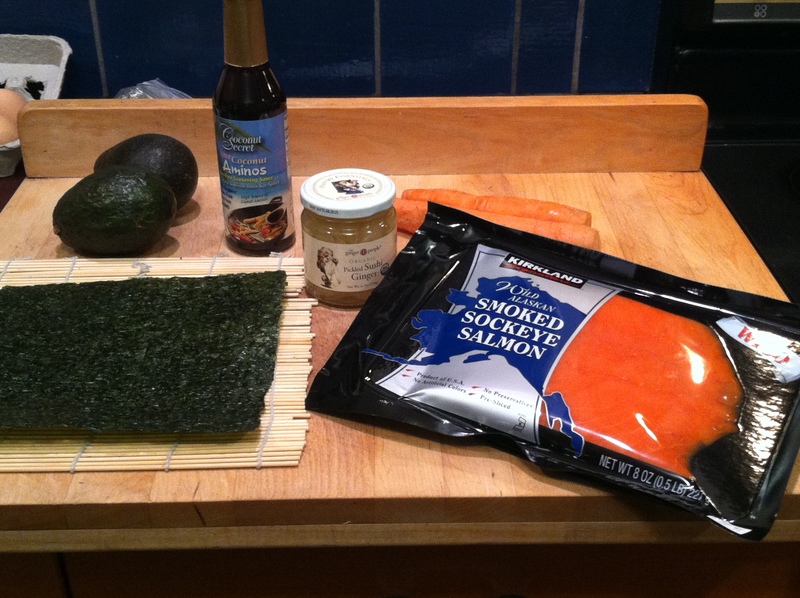 This is what I had on hand last night to make a quick and easy paleo sushi dinner. 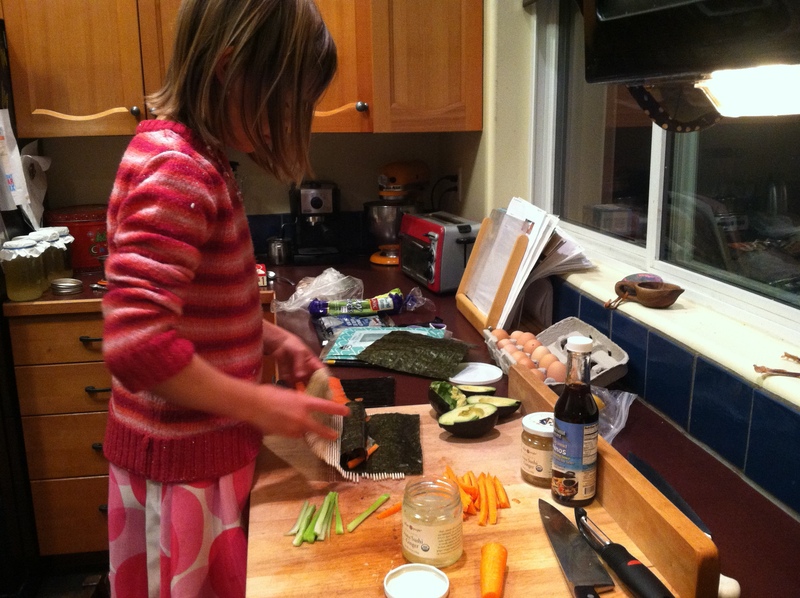 Place Nori on a rolling mat, layer your ingredients and wet the end of the Nori. Roll tightly and let the roll rest a few minutes before slicing with a sharp knife. Serve with coconut aminos or tamari sauce and wasabi for a kick. 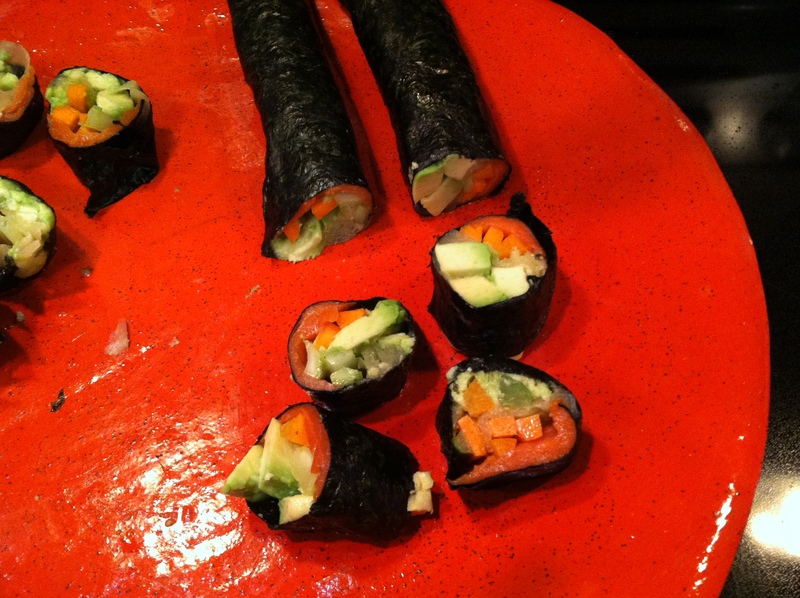 (I roll the pickled ginger right inside the rolls to add to the flavor).